Our last full day dawned and at last we were greeted by clear blue skies rather than the low cloud which has stayed with us so far. There was some half-hearted bleating from the alarm sheep but it had realised that we were all up and heading for breakfast by this point. 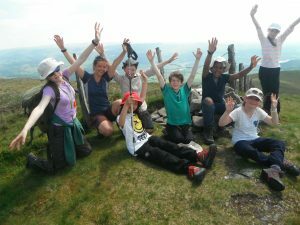 It was great to see that the children were still as enthusiastic as when we started as they met with their group leaders to prepare for their hikes. Knox Johnson groups and Mears headed off for the same location whilst Churchill and Hahn headed in different directions. Today presented a very different challenge to those posed by the heights or the water; endurance would be tested as these were not simply a short stroll through the countryside. Pasted in sun cream and carrying rucksacks, the ascents began – each hike involved a steep climb. 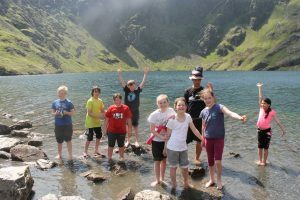 As well as developing their walking skills, the hikes allowed the children to learn more about the natural environment whilst offering stunning vistas and features. 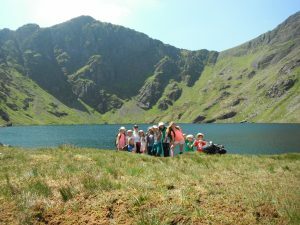 The Cadair Idris route taken by Knox Johnson and Mears was quite well known and after a steep early descent and a scree scramble the groups’ reward was a beautiful lake – cue more paddling. Churchill group headed off on a lesser known route which is not widely advertised. 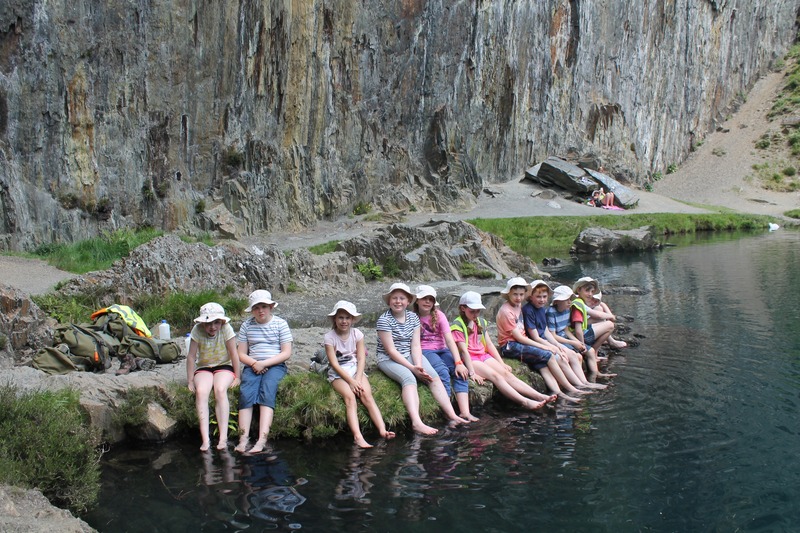 Following a good hearted yet energy sapping climb, the children headed through an old mining tunnel before emerging in front of the beauty of Fairbourne’s Blue Lake – one of Snowdonia’s hidden gems. Meanwhile Hahn group headed through abandoned houses belonging to the slate miners before reaching the peak and a 360 degree view of the countryside below. 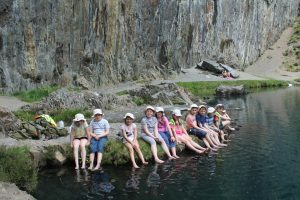 All returned safe and sound and after a quick shower and a chance to spend pocket money, we then headed off for dinner. Our final meal included options such as pizza and lasagne and was greedily consumed as tanks were refuelled (the offer of seconds and thirds made sure of this). 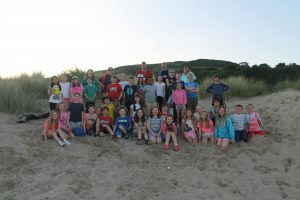 As it is our final evening, we headed down to Aberdovey’s sandy dunes for some good old fashioned fun, a bonfire and roasted marshmallows before our final daily presentation to the adventurers of the day. Unsurprisingly the rooms are all quiet a little bit earlier than usual and bags are packed. Tomorrow we will be heading back down to the wharf for the final challenge – the jetty jump.